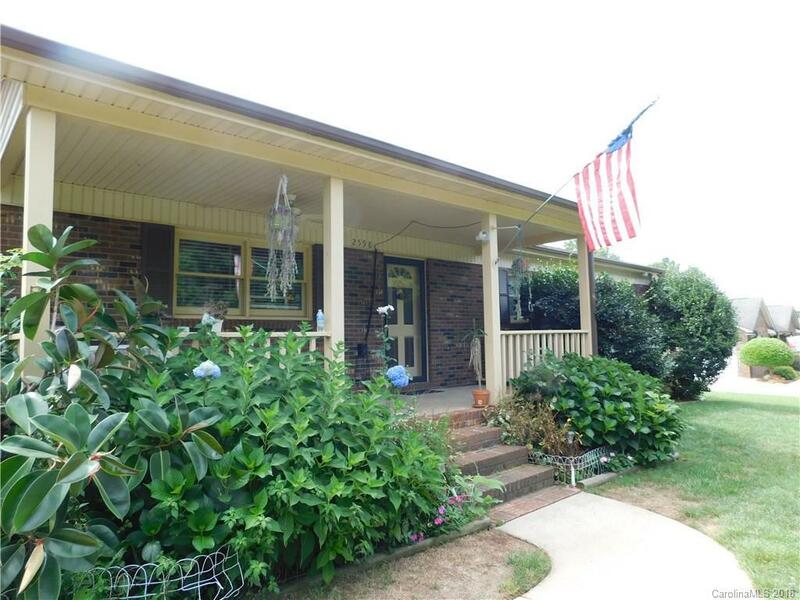 Brick ranch in established neighborhood in Lincolnton. LR has carpet, corner stone fireplace w/elec logs. Granite countertops in kitchen, new cabinets with lots of storage space, cer tile floor into laundry room. Roomy hall bath with cer tile floor & trim. MBR has large closet, large shower with glass sliding door. 12x8 storage building. 7.5 x 12 laundry room with washer/dryer. Freezer negotiable. 7.5x23.5 Covered front porch, 16x11 rear patio. Mature landscaping with crepe myrtles, gardenia bushes, altheas, hydrangeas, & more. Natural hedges in back yard. North Lincoln school district.